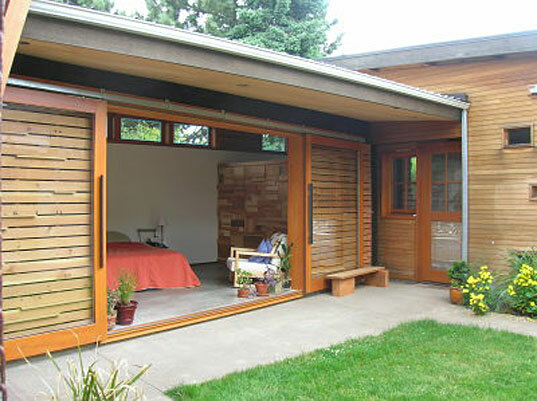 Dwell and AIA teamed up to host the How Green Are You? Contest, meant to showcase green homes and renovations. As AIA says, the contest was meant to highlight the design innovations and sustainable strategies used to reduce carbon emissions, energy consumption and improve building functionality. Contest winners were recently announced and there are some beautiful home renovations. The winner of this competition was Ryan Walsh, of DRW Design Build, with his beautiful 1925 bungalow remodel called Recycled Aesthetic. Exterior of Recycled Aesthetic, Winner of Dwell/AIA Design Contest How Green Are You? As the Dwell blog article says, “The competition was fierce, with numerous submissions from across the country pitting recycled materials against low energy consumption and anemic carbon emissions in an all out sustainable design steel cage match.” The winner emerged as a result of his alternative design approach and use of recycled materials. Rather than designing everything out before hand and selecting materials to fit the design, Walsh salvaged materials and worked them into the home. Of course it took him 8 years to finish the house, but there’s no accounting for time when you produce such an aesthetically pleasing home. Other awards were given to the Gulf Islands House by Matthew Woodruff and Clinton Cuddington of Measured Architecture, and Salvaged Cedar by Ryan Mankoski of Ninebark Studio and Chad Schneider of ArchiLab Design. 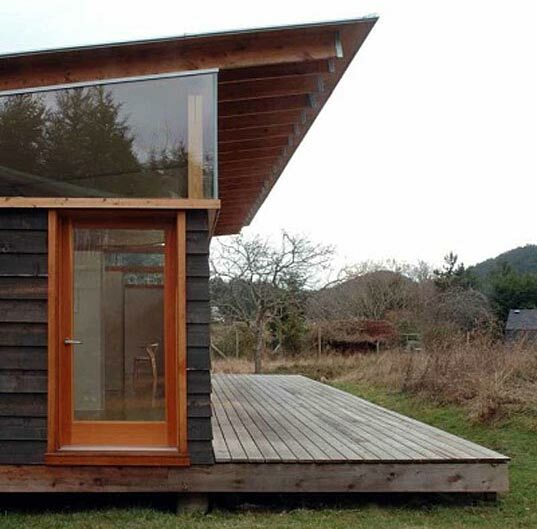 The Gulf Islands House uses 25% energy of a conventional house of the same size and was built on an average budget. 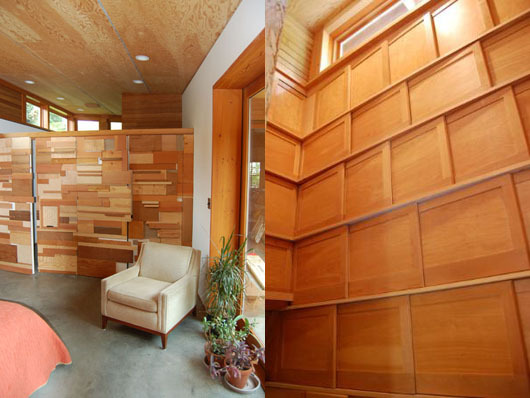 Salvaged Cedar meanwhile was built from cedar sheathing deconstructed from existing materials and incorporates sustainable design principles as a way to reduce carbon emissions. Check out all the great entries here.